Black Run 20 - History - The Beginning - Its all in the name! How did the Black Run become the Black Run? Back in the 90’s the Forestry Commission had just rolled out the Ski Run based grading system for Mountain Bike Trails that is still in use today. From the moment, the riders started to scratch the line down the side of Aston Hill’s steep Chilterns escarpment it was clear that this wasn’t going to be any ordinary trail. 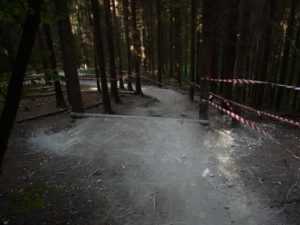 Mark Davies, Steve Goode and a group of local riders had found one of the steepest sections of hillside in the Chilterns to build a trail and when the Southern Area Mountain Bike Series started looking for an alternate venue to Wendover Woods Aston Hill was the perfect alternative. Of course back in 1997 Aston Hill Bike Park was another year or so from being set up so Mark Davies came on board to design a track fitting of the SAMS Series and the Black Run was born. The early Black Run followed much of the line that it uses today but of course the track was a loam fest with the bedrock and roots we know today taking 20 years and thousands of riders to be worn through to. The Black Run has always been steep and back in 97’ it was one of the steepest on the circuit. As the early Downhill Bikes were just finding their way with suspension and disc brakes it was a real challenge for the racers. From the first race in 97’ the Black Run is a track that many riders treat with respect and those that can ride it fast and tame the track are respected amongst their peers. 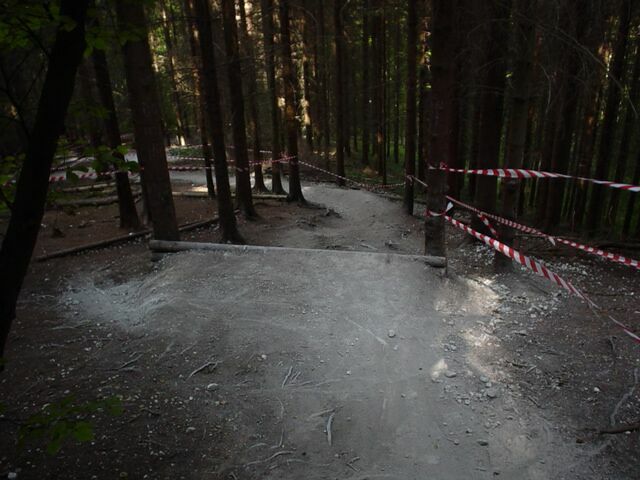 It’s not a difficult track to ride but it does require a certain level of skill. Don’t let that put you off it it’s your first time racing as many of the sports top names have started out their downhill racing careers on Aston Hill over the years and it’s seen some of the top names in the sport today compete for the fastest time in the Youth and Junior categories over the years. 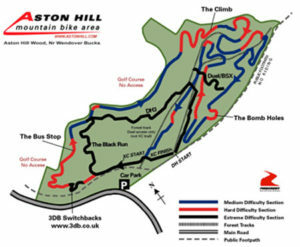 Gee Atherton, Brendon Fairclough, Josh Lowe, Jack Geoghegan and Bernard Kerr to name a few not forgetting local sensation Phil Atwill who has been an Aston Hill local since he was 11 years old!